Running “Get-Command –Noun MSolGroup* | FT –AutoSize” displays you a list of cmdlets that are applicable to the Office 365 Groups. “Get-Command –Noun” is very useful. It helps you get the list of available cmdlets for particular role/features/services. I have compiled a table that you can use to list the commands to manage a particular aspect of Office 365 WAAD. To get a list of cmdlets available to manage Office 365 users. Lists cmdlets that can be used to manage Office 365 groups. 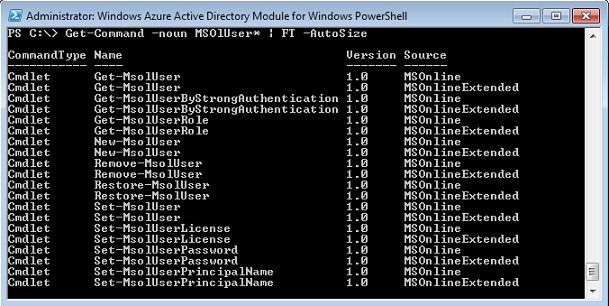 This command shows the list of cmdlets available to work with Office 365 domains. Lists cmdlets that belong to Company Information page in Office 365 Admin Center. Cmdlets that can be used to manage administrative units in Office 365. Returns the list of cmdlets that you can use to manage Service Principals in Office 365. There are other cmdlets available, but we will only talk about the PowerShell cmdlets that are useful in the daily operational tasks. In other words, you may not find it useful to use all of the Office 365 PowerShell cmdlets to manage a WAAD instance. You need to pay attention as to what you will use these cmdlets for. For example, as an Office 365 user administrator, you might want to manage WAAD users. Similarly, a global Office 365 administrator might want to verify domain status, checking services status and checking DNS registration of domains registered with Office 365 subscription. 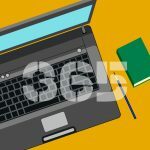 Before you can use any of these cmdlets to interact with Office 365 WAAD, you will need to connect to your Office 365 subscription. Microsoft provides a 30 day trial of Office 365. I would encourage you to start with a trial version of Office 365 to use these cmdlets. In the next and subsequent parts of this article series, I will offer advice on using Office 365 cmdlets to manage WAAD instance. 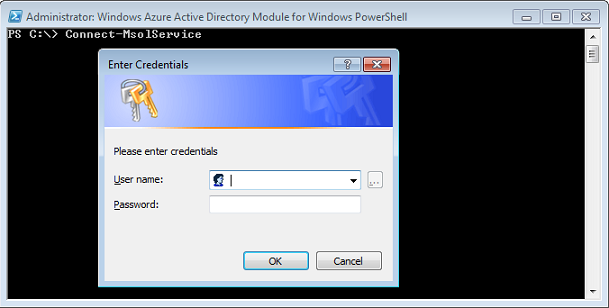 Once you have installed Azure Active Directory Module for Windows PowerShell, click start > search and then type “Windows Azure Active Directory”, right click on the shortcut and then open the PowerShell window using “Run As Administrator” action. You need to sign in to your Office 365 account before you can use any PowerShell cmdlets. To start using PowerShell cmdlets to manage Office 365 WAAD, run the “Connect-MsolService” PowerShell cmdlet. When you run “Connect-MsolService” a credential window will pop up as shown in the screenshot below. Type your Office 365 account name in “[email protected]” format and password to allow you to connect to Office 365 tenant as shown in the screenshot above. In the first part of this article series, we gave an overview of Office 365 PowerShell cmdlets, and how to install ‘Windows Azure Active Directory Module for Windows PowerShell” module for managing the Office 365 WAAD instance. As explained above, Get-Command PowerShell cmdlet can be used to get a list of cmdlets that you can use to manage a specific aspect of Office 365, for example users. To connect to an Office 365 subscription, you need to use Connect-MSolService cmdlet. In the next part of this article series, we will explain some useful examples on using WAAD cmdlets.